The Complete Cladding Company Limited - Builder, Cleaning Services, Fascia/Soffits/Guttering based in Cheshunt, Hertfordshire. Invoice history based on 333 reviews. 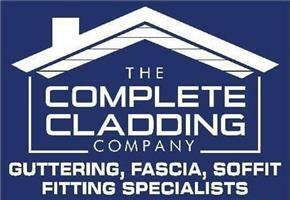 The Complete Cladding Company Ltd is a family based company that has been trading since 2005. We specialise in replacement fascias, soffits, guttering and cladding, and all roofing services. We are based in Cheshunt, Herts, and our six professional and qualified fitting teams cover all areas in North London, Hertfordshire, Essex, Bedfordshire, Cambridgeshire and Kent. Our fitting teams are fully equipped with customised Mercedes vans carrying the Esi-Dec Safety Scaffolding System, and also Boss lightweight towers. All of our fitters are fully trained and PASMA certified. With comprehensive qualifications in the services undertaken (NVQ level 2 and City & Guilds), you can be sure of a safe and quality service. We use "Swish" products, and are now entering our seventh year as Swish Approved Installers. We will only use quality products that are fully guaranteed - to back up our quality service, and to give our customers peace of mind. We are also registered with the Environment Agency under the Controlled Waste regulations. All old materials and debris are cleared away by our teams to leave your home in a clean and tidy condition. More information is available on our web-site or by telephone with our friendly team. No-obligation, free, quotes are available on request. So, to give your home the makeover it deserves, by an established, professional, and quality team, call us today. Please mention Checkatrade when you call. Thank you. Please feel free to visit our Facebook page to see our most up to date jobs. London, Hertfordshire, Essex, Bedfordshire, Cambridgeshire, Buckinghamshire, Oxfordshire.